You must be familiar with that magical green drink. It’s the main element in almost every nutritional diet out there. There’s always a line that contains the word green tea in those articles! Well, if you’re going to use it for weight loss or if you like it in general, you must know every little thing about what you’re drinking. Matcha green tea is a drink that was originated in China and Japan hundreds of years ago. Read on to discover all you need to know about this all-inclusive drink. The farmers provide shade for the plant 2 weeks before harvest, they build a structure around it so sunlight doesn’t find a way of getting it. It’s a belief that when this plant stays in the dark, the leaves soften and become brighter, plus they develop a better taste. Unlike the plants that are left in the sun which causes the leaves to dry out. After the two weeks are over and the plant is harvested, the tea leaves are steamed then dried, then they put it in heated ovens for a few minutes. Then the unnecessary parts of the plant such as the stem and thin twigs are removed, and the last step is grinding the leaves into the powder we see nowadays. The thing about powdered matcha is that it’s sweeter and creamier than regular green tea, you’ll find out later on throughout the article every difference you need to know between the two. Is Matcha Green Tea Good for Your Health? Can People on Medication Drink Green Tea? Does Matcha Green Tea Affect Weight Loss? This green tea is a winning card if we’re talking about nutritional value, it has a lot of benefits that you didn’t know such a simple drink can have. Let’s dive directly into its pros! Matcha is known for not only one benefit, but for the multiple benefits you gain from drinking it. It basically contains every kind of nutrition you need. Including antioxidants, chlorophyll, fiber, and other nutrients. That’s why the health benefits of matcha are more than that of regular tea. Because when it’s made into a powder, you get all the nutrients of the leave, unlike the regular green tea when you get just the brewed water of the leave. One of the most beneficial things about matcha is that it contains a very high content of antioxidants. Every sip you take of the green drink delivers a lot of nutritional values to your body. It’s known to have more antioxidants than any other food used in dieting. Matcha contains an amino acid called L-theanine which is known to get the mind into a relaxed state. When mixed with caffeine, it provides a state of calm alertness that helps with tasks that need focus and a clear mind. Those amino acids are actually responsible for matcha’s special taste and creamy mouthfeel. Actually, an interesting fact about Matcha is that Buddhist monks drank it while meditating to enhance the whole process, for it’s known ability to lift your mood! No one ever wants cholesterol to be high. You need to control it before it rises through the roof! Matcha green tea helps control your LDL Cholesterol levels so you are no longer at risk of heart-related issues. As I mentioned before, catechins are one of the main elements of Matcha. This element, in particular, has been proven to help fight cancer! The reason catechins are so beneficial for your body is that they basically restore your body’s balance and well-being. 60% of the catechins present in Matcha are EGCg, which helps your body fight against the harmful everyday pollution, UV rays, radiation and all kinds of harmful chemicals. You are at risk of cell damage if you let those get to you. Matcha green tea can prevent that. The high level of antioxidants in Matcha green tea counts for a lot of its health benefits, including this one. A kind of antioxidants present in matcha called polyphenols helps to fasten the healing process of some conditions such as arthritis. It also slows down the breakdown of cartilage that is caused by arthritis. Your liver is fine. You are fine. Period! Your liver is one crucial organ in your body, anything that affects the liver affects your whole being. Because it’s responsible for clearing out the toxins in your body. It also metabolizes the drugs and initiates them, and processes the nutrients in the body. A study that was held shows that Matcha actually helps preserve the well being of your liver by regulating the enzymes in it, which in turn, preserves the well being of your whole body. This may be weird to hear! But it’s actually been proven that one cup of the green drink can keep your teeth looking good! The secret behind it is the leaves that regulate the level of acid in your mouth. And the fluoride that the plant gets from the soil. A lot of researches were made to reach this point, and it turns out matcha green tea really helps in enhancing your brain function. The study showed that people who consumed matcha had improved attention, memory and reaction time. Compared with people who drink regular tea or don’t drink at all. Another study showed that matcha improves the brain function, particularly for elderly people. One more reason why matcha helps with alertness and focus is that it contains a relatively high content of caffeine when compared with regular green tea. Caffeine is known for improving your focus and attention. But caffeine can have side effects! Yes in fact it does, it can cause crashes in energy levels and faster heartbeats. But luckily the L-theanine present in Matcha counteracts the side effects of caffeine. So it basically fights its own side effects! The number one cause of health issues and death worldwide is the organ in your body responsible for living, the heart! That’s why any heart issues in the body can cause death. Matcha green tea helps prevent heart diseases by reducing the cholesterol and triglycerides levels in your body as I mentioned before. It prevents the oxidation of LDL cholesterol. Studies have shown that drinking this green tea is associated with reduced rates of heart strokes. Although matcha green tea is a drink of all benefits, there’s no superfood out there with no side effects! If you have any kind of disease, you need to know all the possible side effects of the drink so you aren’t at any dangerous risks. If you’re suffering from insomnia, you know what we’re talking about! Literally, anything you drink can have a negative effect on your sleeping cycle. Consuming the tea late in the day is one of the main reasons for this, so be aware, if you’re willing for a hot night drink, just go for hot chocolate or something that doesn’t contain caffeine. This part is particularly associated with all kinds of tea. It’s known that tea is not good for you if you have Anemia, and it actually causes iron deficiency. 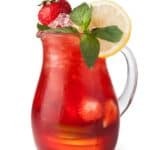 Specifically, if you consume if after an iron-rich meal because it then loses its antioxidant properties and the elements of the tea bind the iron. Green tea also contains tannins that stop the process of your body absorbing the iron from food. Plus a study has shown that the polyphenol antioxidant in green tea also stops the iron absorption into the body because the polyphenols stick themselves onto the iron and prevent it from entering the bloodstream. Anemia or iron deficiency rarely happen only because of tea, only in severe cases when you consume excess amounts of tea, so don’t worry that much! You can also protect your body against this side effect though by adding lemon to your green tea or drinking it in between meals. Caffeine is the main reason for that because it increases the amount of acid that’s involved in the digestion process, which can cause nausea and some stomach pain. This side effect also counts to the presence of caffeine in matcha. It may cause mild and severe headaches, depends on how and when you consume it. It can also cause a feeling of shakiness or dizziness, you can prevent that though by using decaffeinated matcha products. If you’re not familiar with the condition tachycardia, it’s when your heart feels as if it’s pounding in your chest because your heart rate is sped up and your heart beats are irregular. It’s mainly caused by the presence of caffeine in matcha, and because it’s not highly concentrated, this does not happen unless you consume the green tea excessively. Unlike coffee, when just one cup can cause a change in your heart rate. If you have abnormal sinus rhythm, then you need to limit your green tea intake because of the caffeine in it, which can cause muscle twitches and spasms. There’s also another condition that is linked with caffeine which you may be familiar with. If your leg twitches while you’re sleeping, or you feel an aggravation in your body when going to bed, it can be because of your caffeine intake, that’s the first thing you need to watch for. This side effect can only occur if it’s your first time trying green tea and if your stomach is not used to beverages like it. It eventually goes away when your body gets used to it. It can also be caused if you have matcha on an empty stomach, which can trigger nausea. If you have colon problems, you need to look out for green tea because it can cause you some stomach disturbance including diarrhea. We advise you to have matcha green tea in the middle of the day, not at the start of it, so your digestive system is not affected when it’s the most vulnerable. If you’re looking for a breakfast alternative, read about these Best Weight Loss Breakfast Choices. The polyphenols in the green tea can result in oxidative stress. And the caffeine in the tea when consumed in excess can cause nausea and trigger vomiting. So, you must check the normal dose of caffeine allowed for humans daily and not exceed it. Matcha is acidic, so your esophageal lining may be irritated by it. And it may cause you acid reflux or heartburn. If you’re already suffering from one of them, it can get worse. This side effect may not be caused by the matcha powder you make at home but rather by the bottled green tea you buy at markets, because it’s usually preserved with acidic materials, especially if it has a citrus flavor added. When a study was made on mice, it was found out that green tea increases the duration of convulsions, and it can be the reason for it to occur. Only if consumed excessively of course. If you suffer a bleeding disorder, you must watch the amount of matcha green tea you consume or the concentration of caffeine in it. You may want to switch to decaffeinated green tea to avoid any unneeded health issues. Because it appears that green tea can prevent the blood from clotting when mixed with aspirin. So watch your green tea intake if you consume aspirin for any reason because it can cause any bleeding you have to worsen. You may have heard somewhere that green tea helps regulate your blood pressure. But that’s actually not true! And we have the proof for it! Several studies were carried out to find out the truth behind this famous controversy. They all came back with the same result. The absorption of the nutritional elements in green tea along with caffeine into the body may cause temporary higher blood pressure. In fact, one study was carried out just to prove that green tea does not reduce the lower blood pressure effect that caffeine causes. It appeared that green tea causes higher increases in blood pressure than caffeine. Another unique study showed that green tea can affect your body’s reaction to blood pressure medicines. In other words, green tea can cause your medicine to have less effect on your body because it interferes with the absorption of it. So, needless to say, if you suffer irregular blood pressure, you need to watch your matcha green tea intake. A simple study that has been carried out showed that drinking black or green tea increases the pressure in the eye by a good amount. It happens after you drink tea by half an hour and lasts for about an hour and a half. It’s not advised for you to consume big amounts of tea if you have glaucoma. I get it, now you’re worried! Reading about all those possible side effects of green tea can have its toll on your mind! Well, first of all, if you’re on medication, you may want to consult your doctor about your daily allowance of matcha green tea, because it’s known to sometimes interfere with some medicines’ absorption into your body. So here’s a list of medicines that can cause you some undesirable side effects when taken with green tea. No, not the caffe latte, the other one! If you don’t know about it, here’s your chance. You can actually make Matcha green tea latte and it tastes awesome! So how do you make it? Easy! Here’s the recipe and all that you need to do it! Vanilla, almond or mint flavors if you like. Grab your matcha powder and break up all the clumps in it, then add it to your cup or bowl. Pour hot water onto the powder and stir vigorously with the matcha whisk. And make sure it’s only hot not boiling because boiling water can change the taste and texture of matcha, you don’t want that with your latte. Note: If this is your first time hearing about matcha whisk, you must know it’s vital if you wanna enjoy your green tea! It’s made of bamboo and it’s called ‘chasen’ in Japanese. It was designed specifically for mixing matcha. Watch this video to know exactly how to whisk it! Now is the milk’s turn to be frothed. If you don’t know how to do it, you can use a frother or an espresso machine. Or you can do it the traditional way, just heat it on the stove and use a wooden whisk to froth it by hand. Just make sure the heat is between 165 and 180 F.
Note: If you want your latte cold, don’t heat the milk while frothing it. When you’re done frothing the milk, pour it into the cup while leaving the foam behind. Then add the foam at the end on the top of your cup. Now enjoy your matcha green tea latte! Matcha green tea latte is one beneficial drink if you ask me. The milk in it offers you almost all the nutrition you need that isn’t already present in matcha such as Calcium, Vitamin D and Protein. Plus of course, all the benefits you already read about that are provided by Matcha! So, yes, the green latte is definitely good for you. Getting confused? Well, don’t worry, almost all people don’t know that there’s a difference between matcha and regular green tea! That’s why I’ve made you this list, to know all the difference you need to know between the two amazing beverages. Matcha green tea powder has a brightness to it that isn’t present in regular green tea, which looks a little dull and more brown than green. The reason for it is that the leaves are crushed into this powder so it doesn’t lose the chlorophyll in it, which gives it its color. If you’ve been paying attention at the first of the article, you must have read about how Matcha is made. It’s only harvested by hand and all the imperfections are removed. While green tea is just the leaves brewed in boiled water. So the Matcha goes through more fine processing. That depends on your own taste! But a lot of people have agreed that matcha tastes better than the regular brewed green tea. Matcha also has a smoothness to it that isn’t there in green tea. Now we can say the balance definitely tilts towards Matcha! Green tea is no match to matcha nutrition wise. You’ll have to drink about 10 cups of regular green tea to reach the nutritional level of matcha green tea. Because, as I mentioned before, the matcha is made of the whole leave grounded into powder, instead of just brewing it in hot water. Matcha powder is mostly done with water under 175 F, so it still keeps its nutritional value. While standard green tea is mostly boiled to 212 F, so its nutritional value is no longer the same after it’s done. That is one difference you can definitely notice. Matcha powder is smooth and velvety, it feels smooth to touch like fine sand. Green tea though is like dried up crushed leaves, it’s not smooth and its color is not as bright as Matcha. Let’s face it, this is probably the only part in the article that you care about! Weight loss is an obsession for most of us. And the answer to your question is YES! Matcha green definitely helps in weight loss. It’s actually one of the main superfoods. Check this article out if you wanna know what else helps burn fats! One gram of Matcha tea only contains 3 calories. This piece of information is enough for you! Eating fewer calories can definitely help you lose weight, and if not, at least it won’t make you fat. I’ve said it before and I’m saying it again! Matcha has a very high content of antioxidants. But now I’m mentioning for different reasons. The antioxidants can help in weight loss by clearing out the toxic substances in your body, plus it boosts your immunity which encourages your metabolism to work faster, and thus more burned calories and fewer stored fats! Metabolism is the key to losing weight. You wanna lose weight? You need to look out for your metabolism. Period. Matcha green tea speeds up your metabolic rate and the catechins in it helps you burn calories during and after exercising if you’re a workout-holic! Matcha tea contains catechins which are a key element in almost all the nutritional values of it. They increase the body thermogenesis almost three times the normal rate. So your body burns more fat and your body has more exercises endurance. Matcha tea is a great energy booster! It makes you more alert and productive. Higher energy means higher metabolism, which in turn means more burnt up fat! Matcha tea can be both good and bad for your body! But it’s highly unlikely that it will affect you negatively unless you have some sort of disease. If you’re fine, then matcha tea is a great nutritional drink for you. 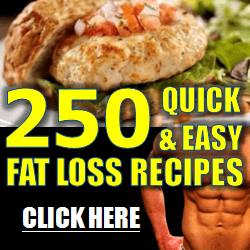 It pretty much has all the qualities you need for weight loss and for a healthy lifestyle. I hope that I’ve covered most of your queries concerning this green tea, feel free to drop your thoughts and questions in the comments. Red Tea Detox Review - Is It Worth Trying? Organifi Green Juice Review - It Actually Works!